Providing you the best range of air conditioning lab equipment and cnc drill trainer machine with effective & timely delivery. As per the variegated requirements of our clients, we are offering a wide collection of Air Conditioning Lab Equipment that is best suited in varied cold storage and refrigerator machineries. Our offered lab equipment is available in various designs and specifications for catering diverse demands of our clients. Furthermore, our experienced professionals manufactured this lab equipment by using quality proven component and high tech tools in sync with industry standards. Provided lab equipment is highly praised by our clients for its various qualities. Leveraging upon our technologically-advanced production facility we provide a super quality. 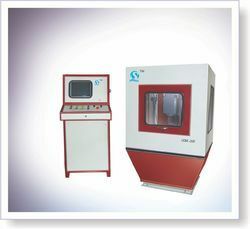 CNC Drill Trainer Machine. Offered drill trainer is manufactured with the help of high grade component and modern technology by our experienced professionals. 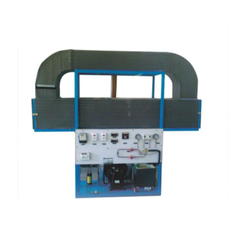 The provided drill trainer is used in the industry for different applications. Apart from this, offered drill trainer is available in different sizes and shapes as per the demands of our clients.